Whoops! So I may have got wrapped up in real world stuff yesterday and not managed to post my Blogmas Day 5! Here it is – one day late. Blogmas Day 6 will follow shortly – as soon as I figure out what the heck I’m going to write! It may only be the 5th December but after this weekend I am in full Christmas mode. We packed the weekend full of as much Christmas as we possibly could. On Friday evening Mr Mess went to watch Reeves and Mortimer with one of his best friends. The tickets were a birthday present from myself and my parents. I was originally invited to go along but thought it would be nicer for him to go with a friend who also loves Vic and Bob. I like some of their stuff but I certainly wouldn’t call myself a fan. While he was out, I spent the evening watching A LOT of cheesy Chrismas movies while I began prepping for our family Christmas Party. The party was on Saturday night but I’m not going to talk too much about that as it’s getting its own special post. 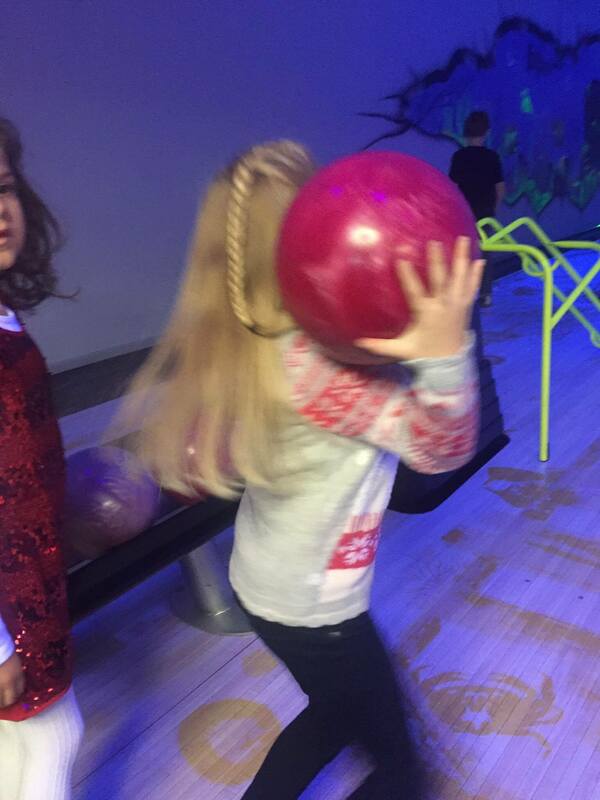 On Saturday morning Miss Mess had her school Christmas party at the local bowling alley. My sister kindly offered to take her for me so that we could concentrate on getting the family party set up. She even took Mini Mess along so she got to have her first go at bowling. Both girls had a great time. Miss Mess enjoyed hanging around with her friends, they had burgers and chips and each child was given a Selection Box as a gift. 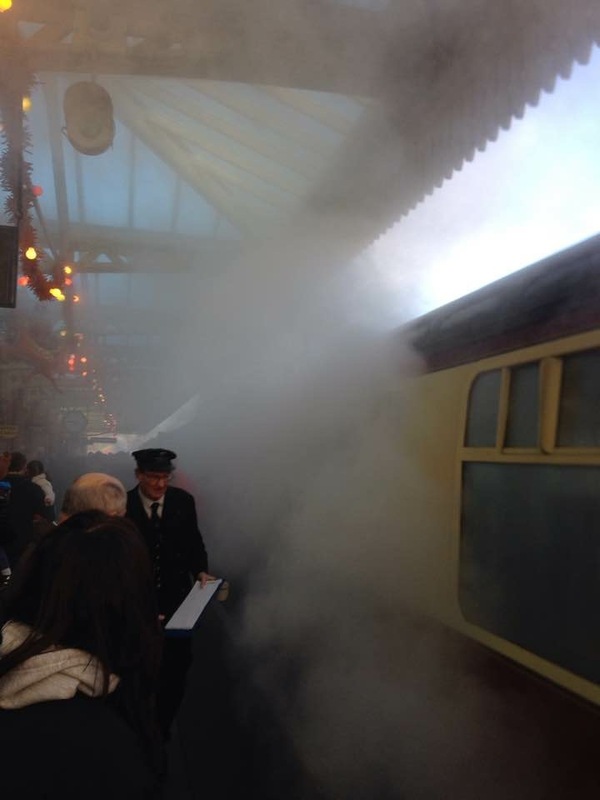 We had to get up bright and early on Sunday morning to head to Loughborough and catch the Great Central Railway Santa Express! My Dad and I took Miss Mess on the same train a couple of years ago and we all had a lovely time. We thought we might all like to go again and this time we included Mini Mess and Mr Mess as well! The station was beautifully decorated in vintage style that made me feel like I’d fallen into a scene from the railway children. There were comfy waiting rooms with roaring fires, stalls were selling Christmas trinkets and the children were kept occupied with face-painting and balloon sellers. Finally it was time for us to board our train and take our seats. As there were 3 adults and 2 childre we just managed to squeeze into one cubicle, although we were quite squished! In hindsight, maybe we should have spread into two sections, but the carriage was packed. Supposedly the deluxe journeys have reduced passenger numbers so I’d hate to have seen what a busy train looked like! While we were waiting for the train to depart, refreshments were handed out. 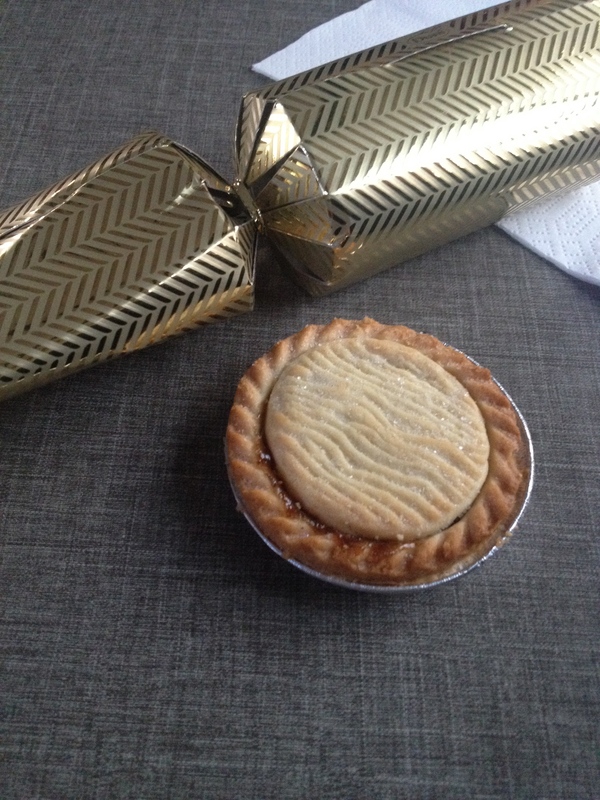 There were mince pies (nice and warm!) and sherry for the grown ups (or orange juice for the drivers). The children were treated to Fruit Shoots and a cookie. Mini Mess happily helped to herself to Daddy’s mince pie and her cookie! She is a terror! We gave a little cheer as the train slowly pulled out of the station and we began our journey. Surprisingly, Santa arrived almost immediately and presented the children with their gifts. Miss Mess got a Monster High Stationery set and Mini Mess was given a Dora the Explorer craft set. Both girls seemed very happy with their gifts, even if they couldn’t take advantage of them straight away as some of the other children could. If I’m being honest, I think it would have been better if Santa had appeared slightly later in the journey, to build the anticipation a little. I understand that he needed to have time to get around the train, but the rest of the journey did seem a little anti-climatic after his visit. We were visited by Mrs Claus and her puppet friend, Lulu and Barney, who Mini Mess was besotted with. Apart from that it was just a steady train ride past scenery that we couldn’t really see due to the steamed up windows. Sadly, the Santa Deluxe experience didn’t quite live up to my memories of the previous occasion. We seemed to stand around at stations – a lot – and it was very, very cold. We were on the first train of the day, so the train probably hadn’t been given long enough to warm up. I would definitely book a later train if I was to go again. Still, the children had a lovely time. 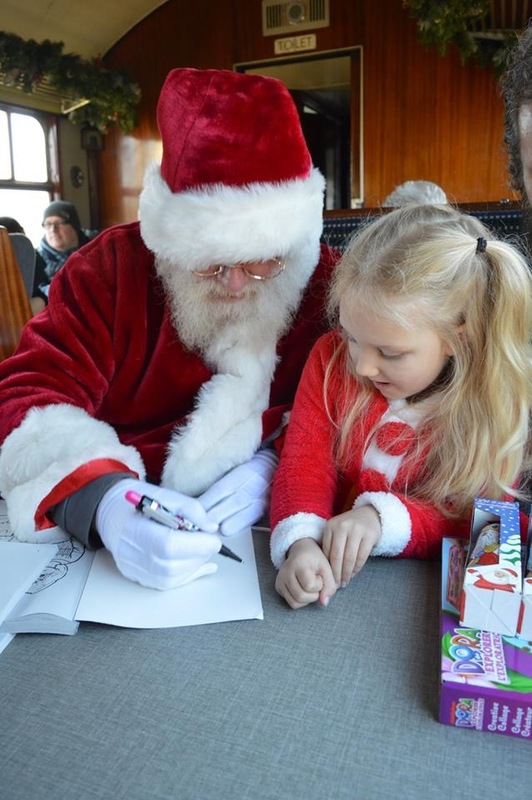 They got to meet Santa – twice actually, as he made another sweep of the train later in the journey. He even signed the girls’ colouring books which they thought was really special. They both loved their toys and were each given a chocolate Santa as we arrived back in the station. As long as the children enjoyed themselves and thought it was magical that’s all that really matters. Even if I was a little bored and lost all feeling in my lower limbs by the end of the trip! I was certainly grateful to get back in our warm car! After our busy Christmas weekend I’m certainly ready for the festive season. The only downside is that I still have two more weeks of work. It feels like the holidays should have started! Not to worry though – there’s plenty more to look forward to over advent and you’ll read about it all here in upcoming Blogmas posts. Have you taken part in any Christmas activities yet? Or do you prefer to wait until closer to the big day? Leave me a comment to let me know what you’ve been up to! 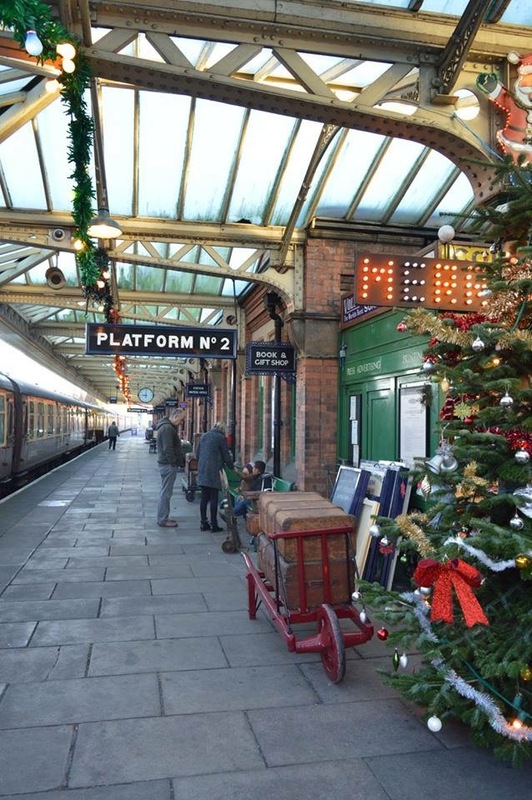 This entry was posted in Blogmas and tagged Blogmas, christmas, santa, steam train, weekend review.